Fundamentally, Dr. King was a teacher, and a brilliant one at that. His subjects were racial equality, tolerance, justice, and empathy. Like all good educators, he made his lessons come to life by engaging us in the practical as well as the philosophical. And he taught anyone willing to learn that the best way to make change is to be change. Dr. King’s life and ideals present us with many teachable moments. Fairness, respect, civility, and action — values that he eloquently espoused — are implicit in our Mutt-i-grees® Curriculum. His gallant fight for civil rights continues to ask us to find and nurture the things we have in common and to learn from our differences. Dr. King’s ideals and his faith in nonviolence, empathy, and education have influenced every social movement of the last 60 years, including the struggle to improve the lives of nonhuman animals. What follows are a few suggestions to help you and your students cultivate empathy, compassion, and respect. This material is based on the principles of our Mutt-i-grees® Curriculum, a social emotional learning resource. The five Mutt-i-grees fundamentals that support social emotional learning are the following: Achieving Awareness, Finding Feelings, Encouraging Empathy, Cultivating Cooperation, and Dealing with Decisions. Fair/Not Fair (Achieving Awareness. Encouraging Empathy. Finding Feelings. Cultivating Cooperation.) Divide your students into groups of four or five and ask each group to list three characteristics often ascribed to the following: children/adults, girls/boys, dogs/cats, and pet breeds. Ask them to list ways in which these descriptions are true and also how they are false — fair and not fair. Ask them to describe feelings that people and animals might have in common, as well as those that might differ. Ask each group to discuss how preconceptions and generalizations can affect how they see others — people and animals — and themselves, and why it’s important to keep an open mind, including about oneself. Then bring the groups together and ask them what they noticed in their discussions and why preconceptions can be unfair. R-E-S-P-E-C-T! (Encouraging Empathy. Cultivating Cooperation. Dealing with Decisions. Finding Feelings.) Ask students to write three definitions of respect, one for themselves, one for other people, and one for dogs and cats. Why can respect mean different things? How does showing respect to adults differ from showing it to each other? To pets? Does showing the right kind of respect involve seeing and accepting others for who they are? It’s important to recognize that we’re not all the same, and that difference is a good thing, among people and across species. Every day, we show respect to ourselves and others in subtle ways. One way is in our greetings. Ask students to describe how greeting their grandparents differs from greeting their pet, for example. What do these different ways of greeting tell us about how we recognize and respect differences. Ask them to list three more ways we show respect in daily life. (Examples: please and thank you (basic manners); listening to others, including our pets’ body language; approach and touch pets with care; understanding your pets’ preferences and needs (a safe place or the chance to eat without being interrupted). Also discuss how making good decisions shows self-respect. Words Matter. (Cultivating Cooperation. Dealing with Decisions. Finding Feelings.) Dr. King made change through both words and actions. Much of his powerful legacy can be found in his speeches and books, which are considered among the most eloquent writings in the English language. Ask students to make a list of words that a bully might use to make someone feel bad. Ask each child to read one of those words and, as a group, brainstorm ways to counter negative words with positive ones. Many insults involve animals; so do many compliments. Make a list of both. Then discuss how negative expressions might hurt both people and animals? How are they inaccurate? Social media are sources of language and messages that can make kids feel angry, hurt, sad, or fearful. Ask kids to put themselves in the shoes of kids who are cyberbullied, and ask them to suggest ways to react to cyberbullying. Also ask them to think about both the similarities and differences between in-person and online bullying. What do these differences tell us about bullies? Ask students to brainstorm ways to respond to cyberbullying. Act Up! (Achieving Awareness. Finding Feelings. Encouraging Empathy. Cultivating Cooperation. Dealing with Decisions.) In 1964, Dr. King won the Noble Peace Prize for his commitment to nonviolence as a leader of the civil rights movement. At just 35 years old, he was the youngest person ever to receive the award. Many communities celebrate Dr. King’s birthday by encouraging a day of service. But why limit service to just one day a year? Ask students to come up with ways to be of service to their community throughout the year by helping animals. When we make the world better for animals are we also improving it for people? How does helping animals find good homes help people too? Can educating each other about the value of respecting animals decrease violence in society? Older students might choose to volunteer at a local animal shelter, even involving their families and friends. Or if that isn’t possible, perhaps students can organize a food drive or a fundraiser for the shelter. Dr. King led by example; young people can learn a lot about being responsible, resilient citizens who want to make a difference in their communities by standing up for compassion, kindness, empathy, and the humane treatment of animals. These are just a few suggestions to prompt meaningful classroom discussion. Our Mutt-i-grees Curriculum is rich with ideas like these. You can tell us how you use the Curriculum and the many ways it can inspire justice, respect, empathy, and action in the form below. Extra credit: Think it forward Ask students to think about this famous quote from MLK and how it might apply to their lives and to the lives of their pets. 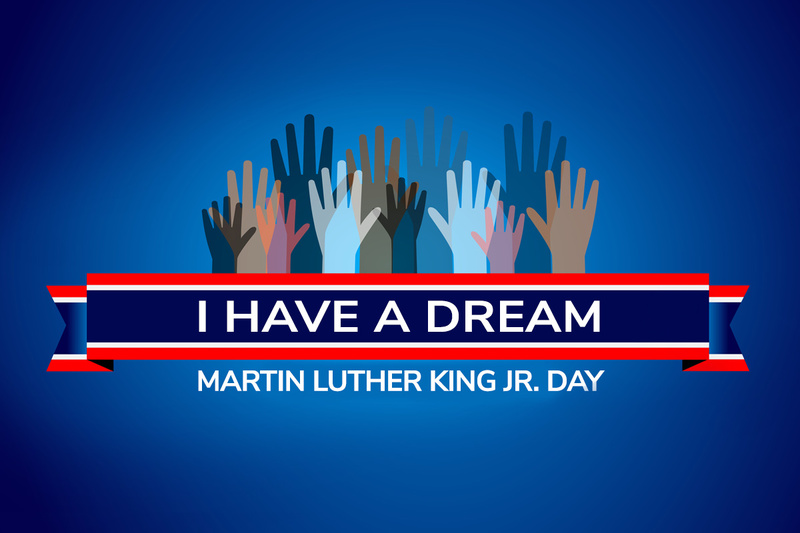 “I have a dream that my four little children will one day live in a nation where they will not be judged by the color of their skin, but by the content of their character.” What does it take to make a dream come true? How can we help make our dream for a better world for both children and animals become a reality?